"Joy is a special wisdom," says a Great Sage. We have many memories of joy in our lives, but they have been buried by pain and suffering. We have forgotten that we can be joyful. We need to reach them, find them, and release them into our life so that we can once again experience the exhilarating joy of life. "Since childhood I have been attracted to joyful people. I have always had a deep desire to know what joy is, what joy can do, and what ways there are to develop joy and be joyful."... "I have observed that joyful people are magnetic, successful, happy, creative, healthy, and honest.... 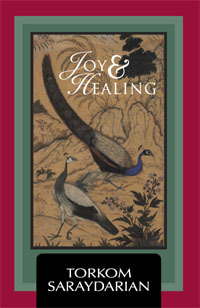 I observed the effect of joy on the physical body, the emotions, and thinking...." A most loved book for over twenty years! You will love the insights, the stories, and the depth that it will touch you. You will be able to release that inner joy and heal yourself from many memories of sadness and neglect. Joy is a powerful healing tool for children and adults of all ages.